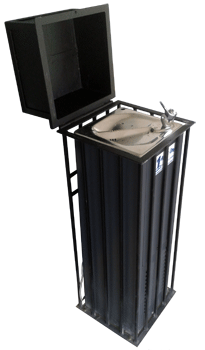 No lead Bubblers – polished stainless steel top and steel cabinet with durable finish granite case bubblers. Economical lead free water fountains. Ideal for industrial applications. Wall mounted and Child accessible heights available. Available in Powder Coated Steel and Stainless Steel Cabinet. Many models available ranging from 10 to 50 litres per hour. Out door Models available. Optional extra glass filler. Optional filters. 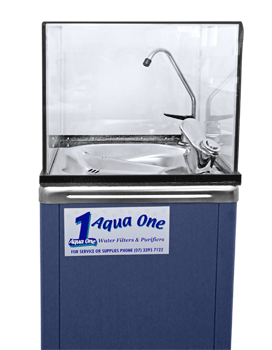 Omnipure Twin filter with easy quick fit connections will remove dirt, sediment, rust, chlorine, chloroform, ammonia, pesticides and herbicides giving pure clean healthy, drinking water. Read more about the M Series.